I realized the true value of drafts in the folder during the last two weeks while I took a self-proclaimed,though unintentional break.All I had to do was mark the dates in regular intervals and auto-post and I was done.It did a great job on its own but now that I am back home,the thought of cooking something new and clicking pics and drafting a post seems like a huge task.But the number of posts popping up on so many blogs for Valentine's day has pepped me up and I have something special for my readers too!! Brownies make my knees go weak and I always have a soft spot for brownie recipes.Had bookmarked these One-bowl brownies from Aparna's blog a while back and loved the looks,just the way I like them.Dark,fudgy and decadent and they tasted even better the next day.I followed the recipe as is,making it eggless.Planning to serve it with some chocolate ice cream for an awesome Brownie-Nirvana!! Pre-heat the oven to 350F (180C). Coat a 13” by 9” pan with cooking spray. Measure all of the ingredients, in the order given, into a large mixing bowl. With a hand mixer, beat until well blended.Fold in the chocolate chips,if using. Pour into the baking pan and smooth the top. Bake for 22 to 25 minutes till a toothpick inserted in the centre comes out clean. Cool on a rack and cut into 24 squares. If desired dust the top of the baked bars with powdered sugar. Wishing all of you a very Happy Valentine's day!! The brownies look delicious! My brownies are sitting in the draft from 6th Dec..the day we all met and I made those brownies for the blogger meet. Your post reminds me to clear my back logs. Hope you had a wonderful weekend at Ernakulum. Have a great day. looks super yum--dense and a killer ! 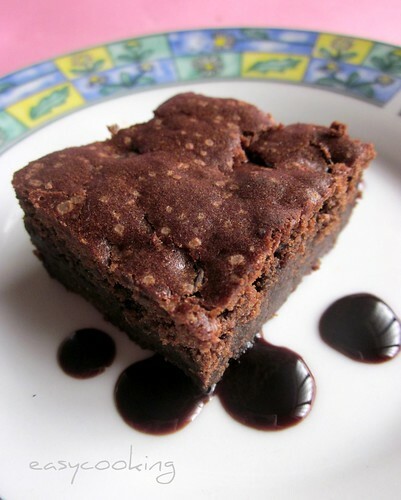 It is ages ago I made brownies and this looks so so good. Sure a yummy treat...Looks perfect! the brownies look very spongy cute and yummy. 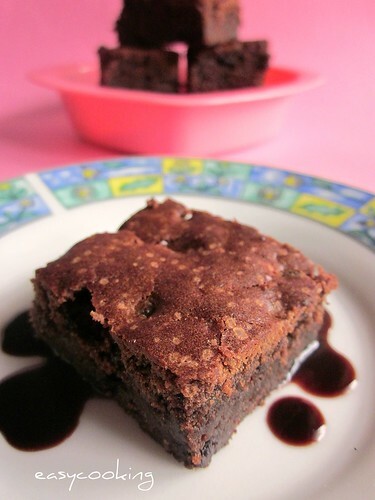 Brownies look so dense and chocolatey,delicious! Wowww Divya, every where its chocolate in your blog. Looks very yummy and perfect. The brownies look really fudgy, am sure they tasted fantastic as well! 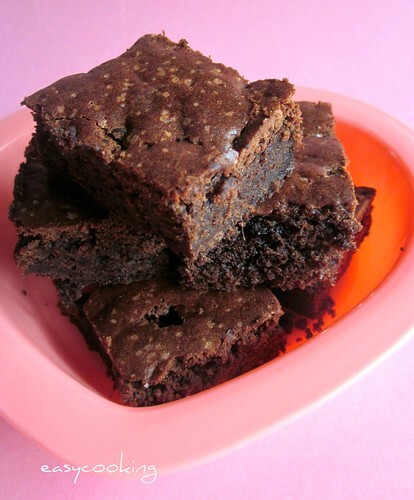 I love the little sugar crystals on top of the brownies - haven't seen those in a long time. I have to go shop for that sometime soon. Love the brownies Divya!